Watertowers. 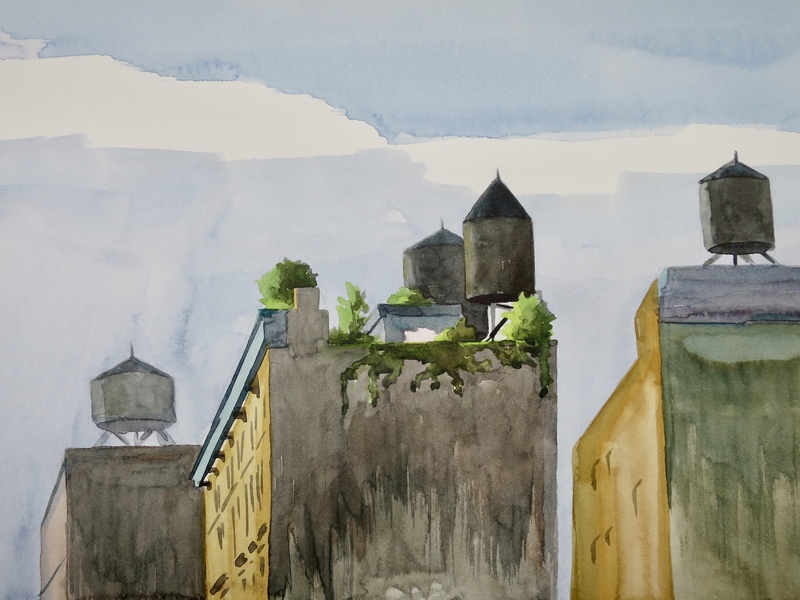 How could I have a show of cityscapes without featuring the ever-present water towers that hover over the streets of lower Manhattan. But, what do these have to do with natural beauty? Ah, the sky. 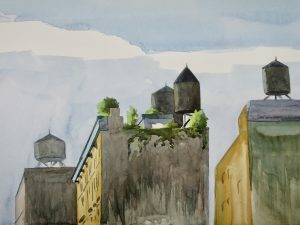 The water towers always appear against the sky – the only thing more ubiquitous that the water towers – and certainly natural. God’s own sky. Always present, always changing.